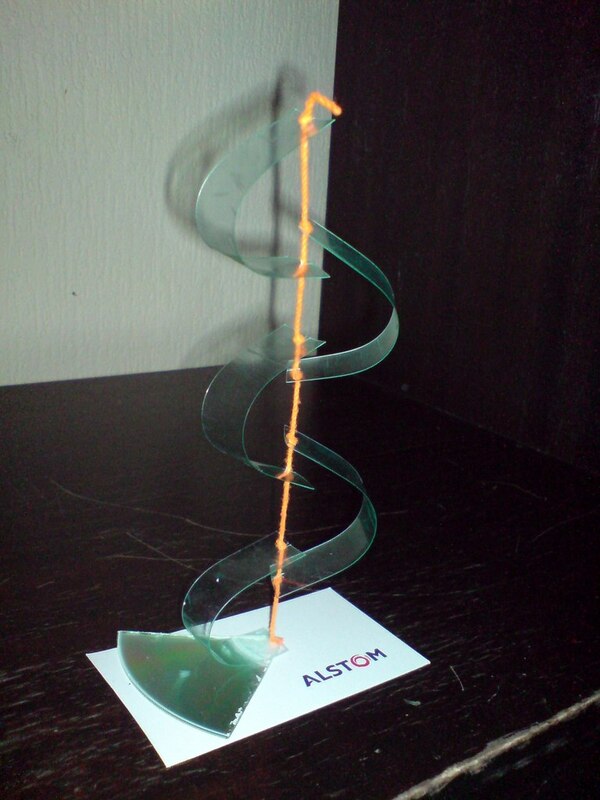 During a Reddit rabbit hole last year, I saw the tension model seen below made with string, knots and a plastic cup. The more I studied it, the more it made sense and needed to be created in steel. 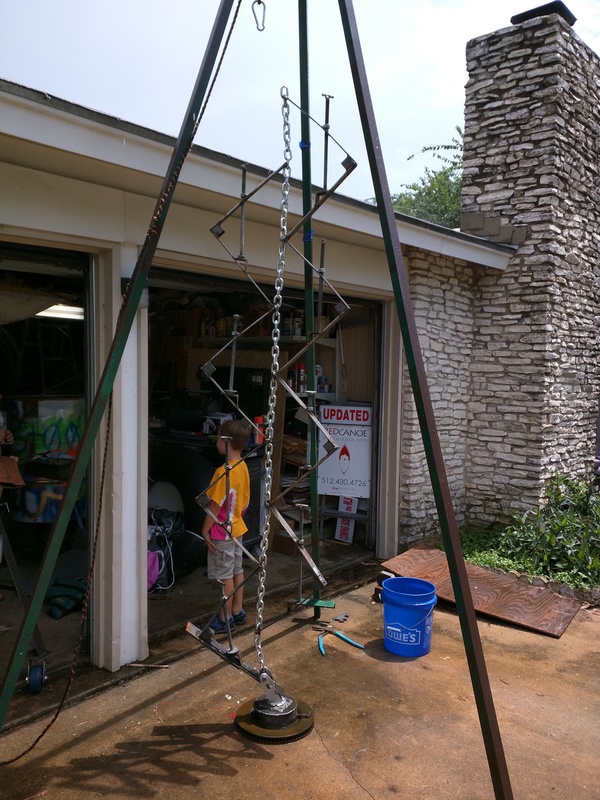 This past weekend, 06/28/2015, I released the support cord and it stood up on its own. The bottom (reverse) clamps had to be reinforced because of the sheer weight of the assembly. The project would have been completed a month ago, but my wife thought “it needed to spin”. I agreed.